Now a journey of at least 2500 km back to Sweden begins. Some of us have more than 3700 km to travel before we get home. Before all of us get home, we will have travelled over 10,000 km this week. All of us who worked down here in Catalonia want to thank the Catalan Emergency services, Pau Costa Foundation, Graf and all the individual people we have had the privilege to meet down here. Our hope is that those who can and are able to come to Sweden and study the Swedish working conditions when we perform our controlled burnings. 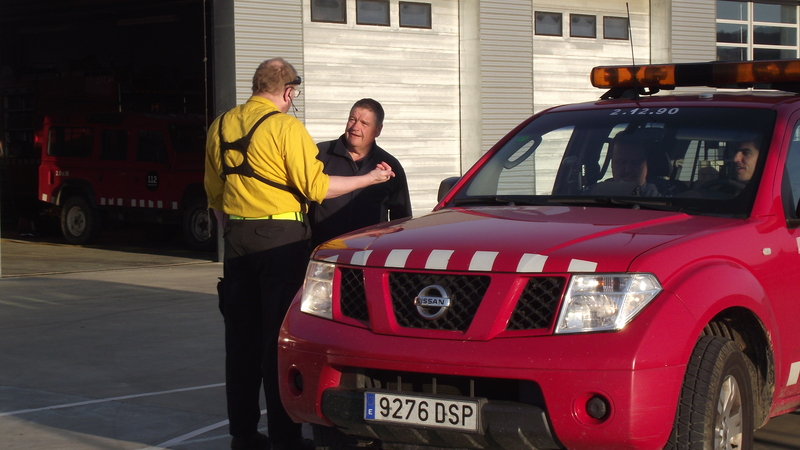 SITS i Sverige has served during week 10-2016 in Catalonia during controlled burnings and as stand by during the forest fire in the Pyrenees. The fire started in the south of France along the Pyrenees and continued over to the Catalonian side. During the days of working on burnings with the Catalans we learned much about their working conditions, as well as their burning and extinguishing techniques with a small amount of water. What we have seen and learned this week we will bring back home to Sweden, and implement it within our own organization. We will pass on the knowledge to those within the emergency services and others who are interested in learning more and in developing within our domain. The Catalans’ way of working with specially trained personnel that can be transferred throughout the country when needed corresponds well with our own thoughts about how an organization in Sweden could be built. Thomas discusses the day's activities with Gil from Catalonia the, after the controlled burning. 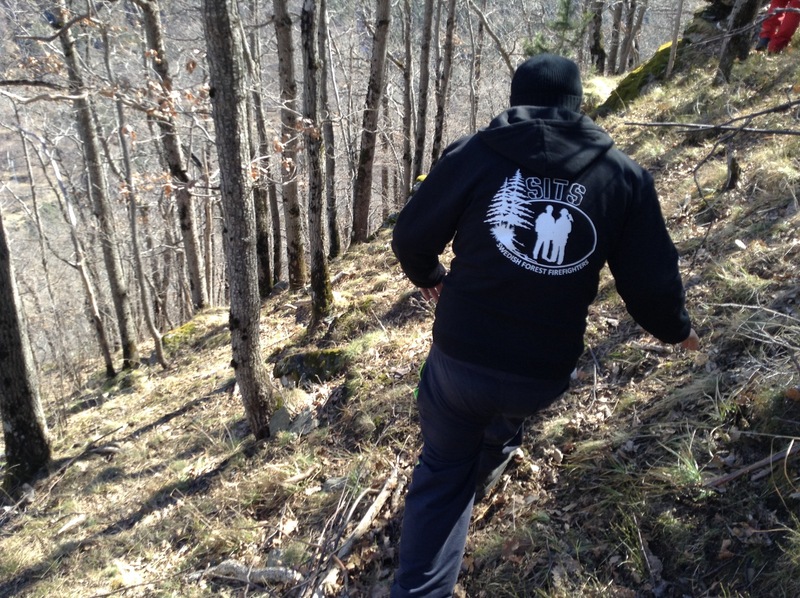 This weekend we have held a training for SITS forest firefighters. The place was a deserted log cabin in Mönsterås county with top staff. We cooked outside over an open fire, keeping a log fire in the cabin to keep warm during the night, could it get any better? The exercises for the weekend included FWI, stream driving technique, pump techniques and on Sunday a shorter response exercise in real time. Check out these links for the staff training in April and May. Useful links about MARK III and how it should be used, how they can be used even if something is missing or broken. MARK III manual from YouTube. Saturday October 4th, nine staff members were trained to drive four-wheel drives professionally. All agreed completely that this training was as fun as it gets. During spring, there will be further training for driving with a trailer in the terrain. On the 8th and 9th November a new training begins for those who want to apply to become forest firefighter with SITS. 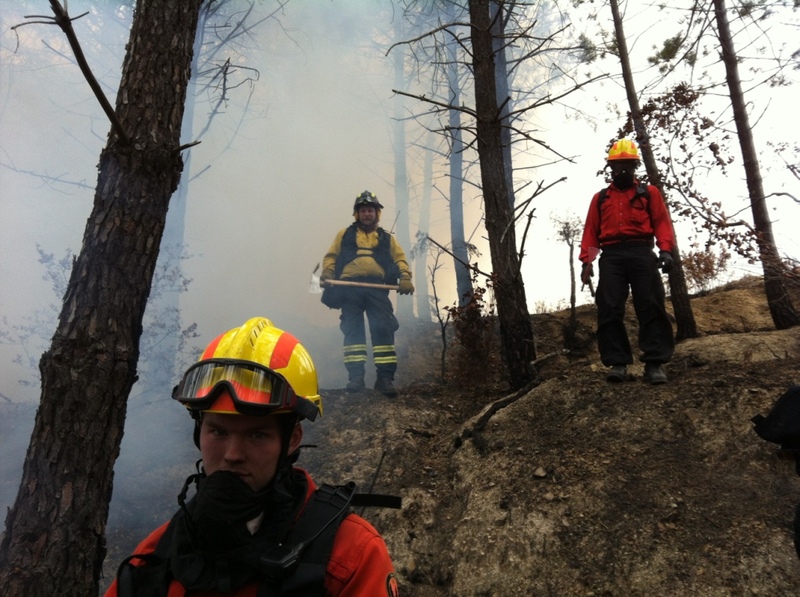 As a forest firefighter you work with implementing controlled burnings for forest owners, under controlled conditions. The work may also involve you serving as forest a firefighter during major forest fires and working with municipal rescue services, both nationally and internationally. We are looking for those who are flexible, like outdoor activities (as we live in tents and are outdoors all the time), have a peaceful and harmonious personality, born in 1997 or earlier. Apply by sending an application form to us via our email sits@live.se. We have a collective agreement with the Firefighters Association. BLASTING OF BURNED & WIND FALLEN TREES. Three men are now approved for blasting trees!! During two days Thomas Aronsson, Erik Englund and Mikael Lindmark completed a training on how to blow up trees which are dangerously situated and may fall after a fire, or wind fallen trees that have fallen onto power lines. Micke examines the results after a successful blasting.